At a meeting in Oslo, Norway, this week, the EUMETSAT Council approved funding for industrial activities required by EUMETSAT for the long term storage of the four Meteosat Third Generation (MTG) recurrent satellites after their acceptance at the Pre-Storage Reviews, their de-storage, the preparation and execution of their launch campaigns and support to in orbit commissioning. 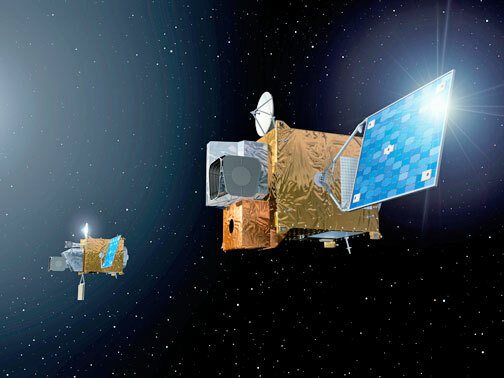 Preparing for the role of EUMETSAT in the next phase of the EU Copernicus Program, the Council approved an arrangement for continued cooperation with the European Space Agency for the deployment of the Sentinel-3C and -3D satellites, expected to replace Sentinel-3A and -3B in the period 2023 to 2027. Prof. van der Steenhoven will become the Council Chairman on September 1, 2018, for a first two-year term, taking over from Professor Anton Eliassen, of Norway, who has chaired the Council since July 2014, a period during which the Council approved the EPS-SG Program, EUMETSAT’s contribution to the Copernicus program and the Jason-CS program.